Your Village at Work, November 21! 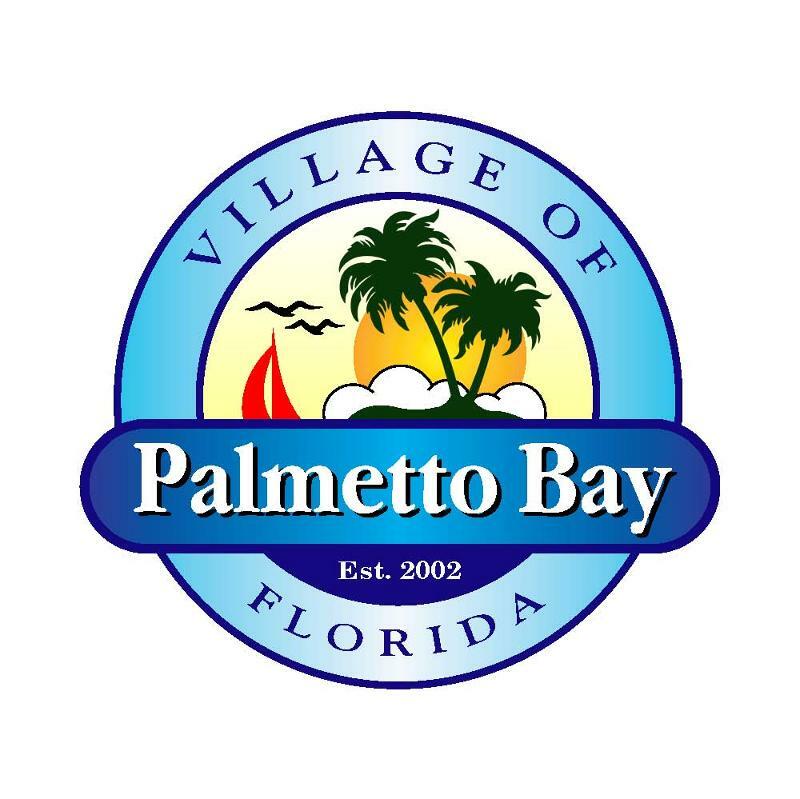 From all of us here at the Village of Palmetto Bay, we would like to wish you and your loved ones a very joyous and safe Thanksgiving Holiday! 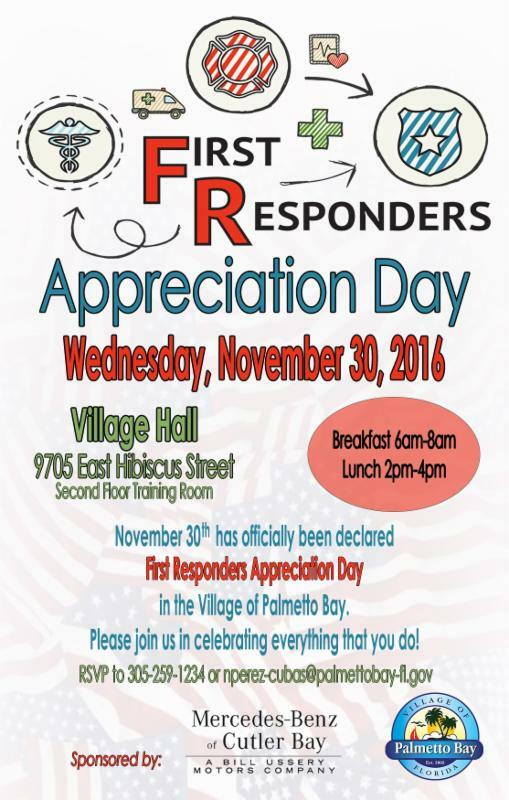 In the spirit of giving ... November 30th has been declared First Responders Appreciation Day in Palmetto Bay. Please join us in celebrating all that you do and have a meal on us on Wednesday, November 30. Breakfast will be served between 6-8 am and lunch will be served between 2-4 pm. In-person voting for the Vice Mayor runoff election is tomorrow from 7 am to 7 pm. See list of open precincts. Vote-By-Mail ballots may be returned to the Miami Dade Elections Department at 2700 NW 87th Avenue by 7:00 p.m. on Tuesday, Nov. 22, 2016. A drop-off box option for Vote-By-Mail ballots is also available at Village Hall, 9705 E. Hibiscus Street until 10:00 a.m. today (Nov. 21, 2016.) Bring proof of identification with your Vote-By-Mail ballot. You can track your Vote-By-Mail ballot here. More info. provided online at Elections 2016. Students and teachers... There is a little over a week left for you to participate in our First Responders Appreciation Day Poster Contest and our Poem Contest. All submissions must be ready for pickup at the school office on Tuesday, Nov. 29 by 12 pm. Winners will be announced by Monday, Dec. 5 and will receive an ice cream party for his/her class on a date selected by the Principal. Palmetto Bay's Unique Abilities Fair is quickly approaching! RSVP with us today or click here to make a donation!